Attorney Murray is a 1993 graduate of Fordham University and 1997 graduate of Western New England College School of Law. Upon obtaining his juris doctorate, Attorney Murray worked for five years in the Office of the District Attorney for the Middle District. He regularly prosecuted cases throughout the District Courts of Worcester County and also served as the supervisor of the Jury Session in the Worcester District Court. Attorney Murray represented the Commonwealth in both felony and misdemeanor matters, and was also assigned as a prosecutor in the Motor Vehicle Homicide Unit. Attorney Murray served as lead counsel for the Commonwealth in over 125 jury trials. In 2002, Attorney Murray joined the firm of Bernstein, Burwick & Tucker, LLP where the majority of his practice was focused on representing clients in personal injury cases and criminal defense. 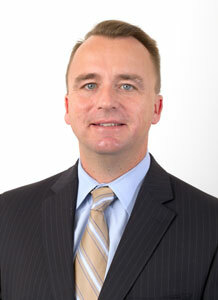 Attorney Murray also represented clients in business litigation, licensing matters and domestic relations cases. In 2004, Attorney Murray founded the firm, Murray & Murray, LLP. Since the firm’s inception, Attorney Murray has continued to represent clients in criminal defense and personal injury cases. He has additionally served as counsel for numerous small businesses in both regulatory and civil litigation matters. Attorney Murray is a resident of Worcester where he is married and the father of three children. He is a member of the Massachusetts Bar Association and Worcester County Bar Association. He is a past recipient of the Worcester County Bar Association’s President’s Award for his work on behalf of the Association. He is a board member in the Jesse Burkett Little League and served as chief fundraiser for the Canal Diggers 5K Road Race.